Linsey Boersbroek is a Food Designer from the Netherlands and creating new recipes is one of her passions. She sees food and the social connections that it can foster as a complete experience to be enjoyed. 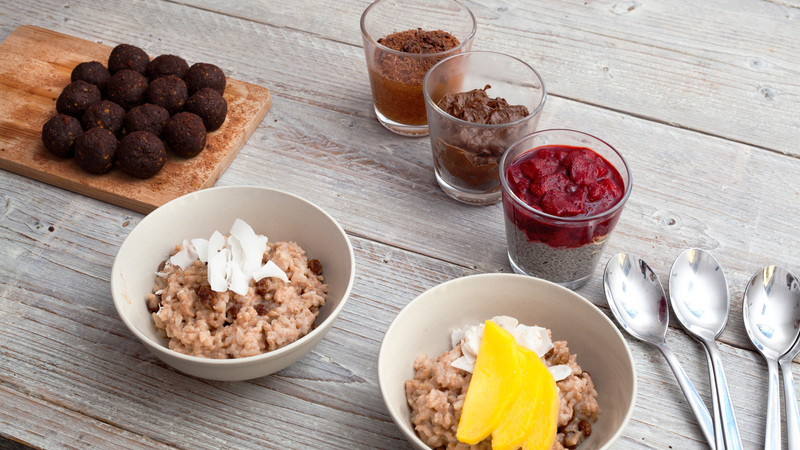 She developed a mouthwatering and healthy selection of desserts – Avocado Chocolate Mousse, Papaya Mousse, Date and Almond Balls, Leftover Rice Pudding and Strawberry and Almond Chia Pudding. She also created some savoury recipes such as – Greek-Style Couscous Salad, Homemade Hummus, DIY Basil and Walnut Pesto and her Rainbow Salad. Try not to compromise on good food.